The Civil War was a grave time in our nation's history. 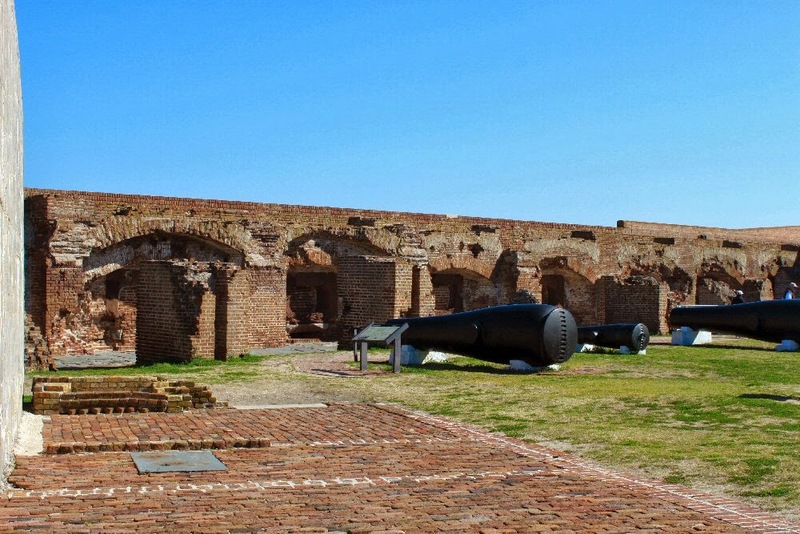 Fort Sumter plays a big part in that history as it is where the first shot of the war was fired. South Carolina was the first state to secede from the union in December of 1860 followed quickly by five other states in the deep south. They formed the Confederate States of America and soon after the fight at Fort Sumter they were joined by other southern states. At issue was the right to own slaves as property. 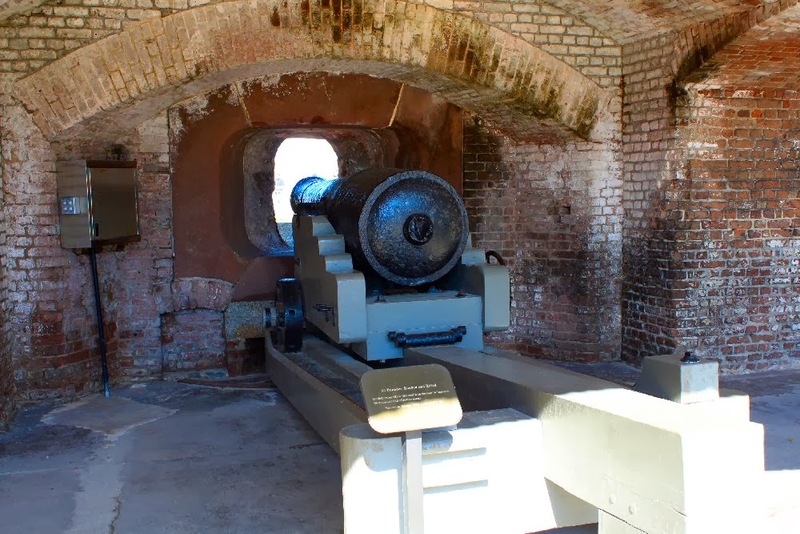 The first shot of the war was fired at Fort Sumter where US Major Robert Anderson and his 85 soldiers had moved to from Fort Moultrie nearby when South Carolina and the other states seceded. The first shot was fired on April 12, 1861, just weeks after the inauguration of Abraham Lincoln as president. The fort was bombarded over the next two days eventually causing Anderson to surrender on April 14. He and his men were allowed to return to the north. The story does not end there though. 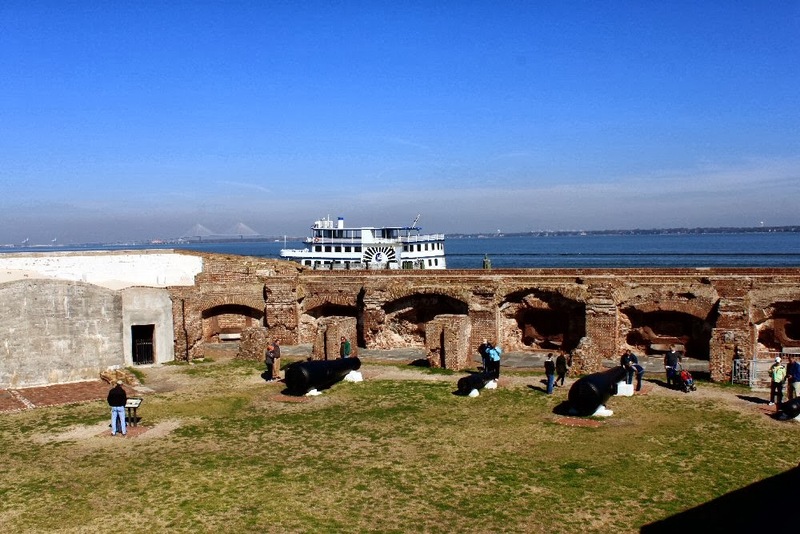 Fort Sumter became a central point of fighting among the North and South. The Union troops bombarded it mercilessly. According to what I read, the Confederates never surrendered the fort. They were forced to abandon it when Sherman surrounded the city of Charleston and effectively cut it off from all supplies thereby forcing the surrender of the city. The fort is a monument to the brave men on both sides who fought there. There is not much left of the original fortress whose construction began just after the war of 1812. The fort was still not complete when the war between the states broke out. 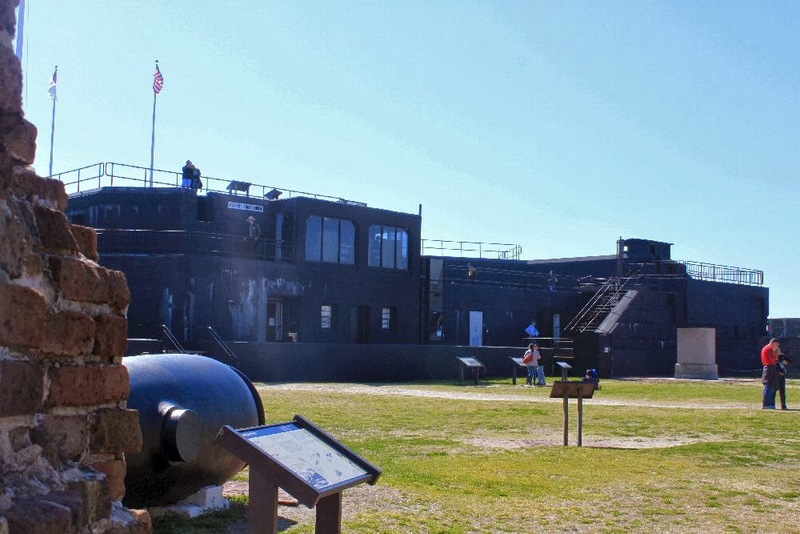 Fort Sumter is pentagon shaped with five foot thick walls that once rose 50 feet over the low tide mark. 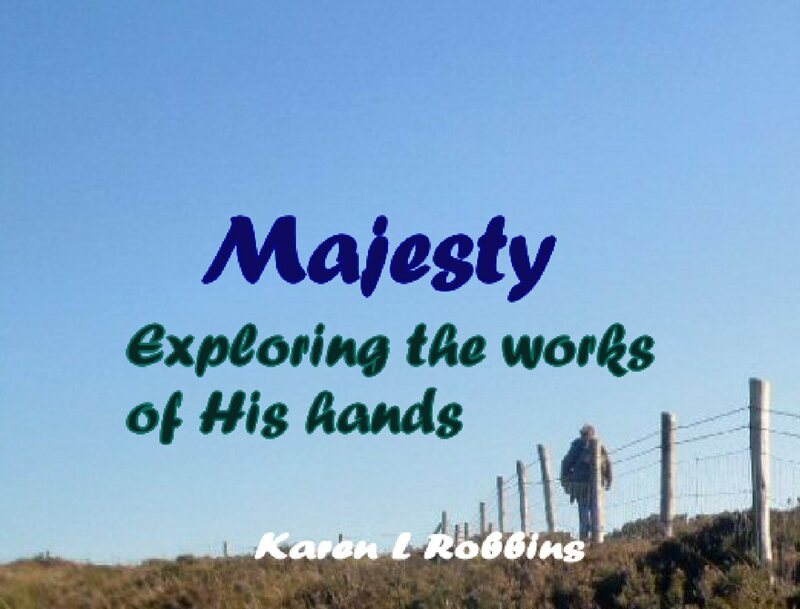 There were several stories that housed the military who were stationed there. Much of that burned and fell to the ground during the first battle at the fort. 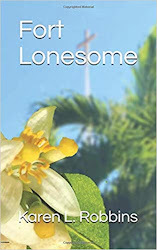 After the war, the fort was used as a lighthouse but when the Spanish-American War broke out, the fort was once again fitted for a defensive position with the construction of a large interior area called "Battery Huger." It never saw action and now houses a museum on the island fortification. 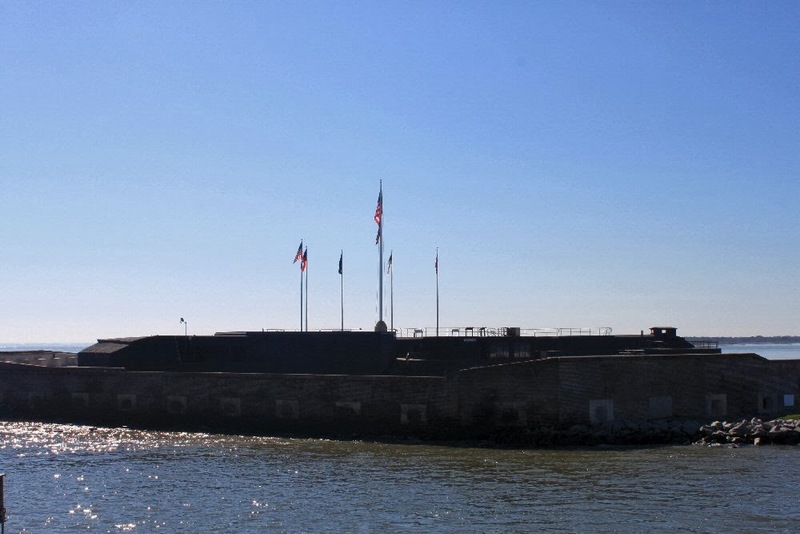 The only way to get to the Fort Sumter National Monument is by boat and the best way is to take the Fort Sumter Tour that leaves from Liberty Square in Charleston or Patriot's Point in Mount Pleasant on the other side of the Cooper River. The price is reasonable and the 2 1/2 hour trip was pleasurable. The ride on the ferry is about 45 minutes each way and is often accompanied by some of the 500 dolphins that inhabit the river area. It leaveas one hour for touring the fort itself. Once you arrive, there is a National Park ranger who gives the historical overview and then you have time to explore. Our morning tour was our last day in warm sunny weather. The next day we ended up staying an extra night in Wytheville, VA, to avoid the storm we thought we had so carefully avoided. We wish we had stayed the extra night in Charleston but who knew? What a crazy winter.